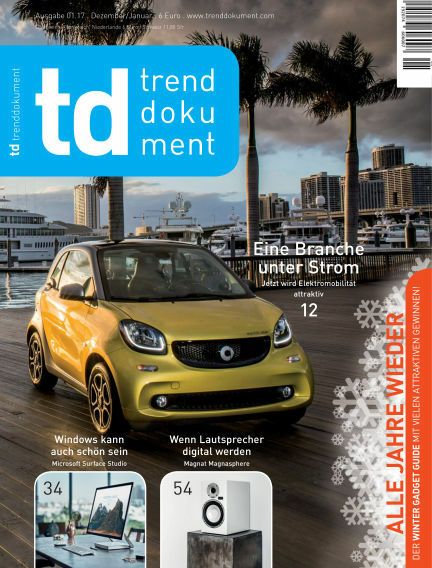 In this issue of trenddokument : Apples neues MacBook Pro, ein schöner Windows-Rechner, nämlich Microsofts Surface Studio, das iPhone 7 plus im Alltag und Amazon Echo und Echo Dot. With Readly you can read trenddokument (issue 01.2017) and thousands of other magazines on your tablet and smartphone. Get access to all with just one subscription. New releases and back issues – all included.